"Very Scary People: I Am The Zodiac"
Oct. 3, 2018) Welcome, viewers of "Mysteries at the Museum" on Travel Channel! It was my pleasure to take part in the show and have beers with host Don Wildman. As the show mentioned, everyone is anxious for the DNA results, which could occur at any time. Here's a way you can get the news as it happens. Meanwhile, you can discuss the show, as well as live chat. July 4, 2018) In one of his taunting letters back in 1969, the Zodiac claimed to have killed Darlene Ferrin and wounded Mike Mageau "On the 4th of July" in Vallejo, Cal. That was 49 years ago. Today, thanks to recent, amazing breakthroughs in DNA technology responsible for solving cold cases right and left, I am optimistic the Zodiac case will be solved before the 50th anniversary next year. May 8, 2018) Welcome, readers of VICE. > With the arrest of the alleged Golden State Killer, the Zodiac stands alone as California's most infamous unsolved case. When will state authorities put forth the same joint effort to capture him? This site isn't willing to wait. This month I will be heading back to the San Francisco Bay Area to search for more Zodiac clues. For a look at what happened on my last trip (epic stuff), see the Zodiac evidence room. > The Zodiac case is all over the news. Join the discussion! Discussion can be found here. 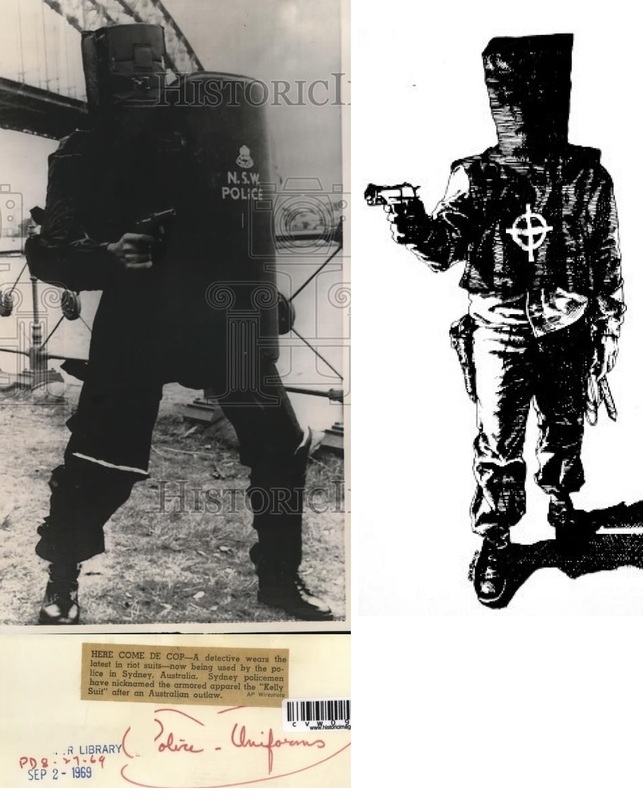 Dec. 20, 2017) Today is the 49th anniversary of the Zodiac killer's first confirmed attack. > "The Hunt for the Zodiac Killer" on The History Channel is now a thing of the past. Here are my thoughts on the show. Nov. 14, 2017) Tonight is the debut of "The Hunt for the Zodiac Killer" on History, The History Channel. There will be a total of five weekly episodes. While the show didn't get access to the the Vallejo (Calif.) Police Dept. -- Vallejo is ground zero for hunting the Zodiac -- perhaps something of substance will still be uncovered. 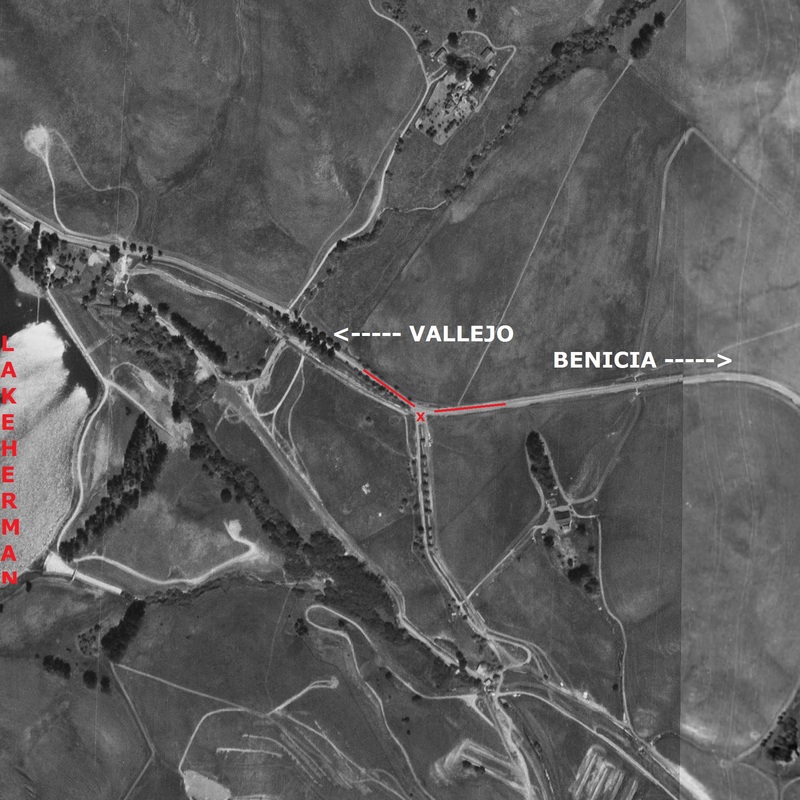 Meanwhile, I was able to get into the Vallejo evidence area, and you can see the results at this link. Discussion of the show can be found here. There's also a dedicated Zodiac chat room you can check out. Oct. 13, 2017) There's an all-new Zodiackiller.com discussion forum and it contains the latest details of all things Zodiac, including an upcoming five-part TV mini-series called "The Hunt for the Zodiac Killer" airing soon on The History Channel, exclusive pics and video from behind the scenes in the police evidence area, new and revealing details about the suspect known as "Sam," and lots more. Here's the link: https://www.tapatalk.com/groups/zodiackillerfr/. Aug. 11, 2017) DNA testing of Zodiac evidence is happening using the most modern techniques. There is also the possibility of confirmed, never-seen Zodiac letters, as well as additional victims. Stay tuned for developments as they happen. UPDATE: I intend to visit the San Francisco Bay Area soon for the latest info. May 1, 2016) As evidenced by the video below, rumors of politician Ted Cruz being the Zodiac killer have made it all the way to the White House. (Google "ted cruz zodiac killer" and prepare to be astonished at the level of media coverage the rumor has received.) As webmaster of Zodiackiller.com, I can't begin to estimate the amount of e-mail I have been bombarded with on the subject over the past several weeks. For the record, my position on the matter is that Ted Cruz is definitely possibly not the Zodiac killer. I hope that settles it. Oct. 31, 2014) The recent Zodiac 45th anniversary event in San Francisco, Cal. was a huge success. For details and lots of pics, see the Zodiackiller.com message board. May 14, 2014) A new book has been released today that claims to reveal the identity of the Zodiac killer. Titled "The Most Dangerous Animal Of All," discussion and ordering info can be found at the Zodiackiller.com message board. March 20, 2014) On this 16th anniversary of Zodiackiller.com, I am happy to announce a special event that will take place in San Francisco, Cal. on Oct. 11, 2014: The 45th anniversary of the Zodiac's only confirmed San Francisco murder. While still in the planning stages, you can learn more and follow along as everything develops. Feb. 26, 2014) The new year has brought yet another person taking to the news media with the claim of knowing the identity of the Zodiac killer. Sound familiar? For the entire story, including pictures, video and plenty of discussion, visit the Zodiackiller.com message board. March 20, 2013) Today is the 15th anniversary of Zodiackiller.com and I have added a special update to mark the occasion. > To the many who have asked, as far as I know a DNA comparison between Zodiac and suspect Richard Gaikowski has never been made. Dec. 20, 2011) On this 43rd anniversary of the Zodiac's attack on Lake Herman Road near Vallejo, Calif., I've added a comprehensive collection of vintage newspaper articles detailing the double murder. Click here to read and discuss. My partner, Detective Shulman, said he would let you know once we got to the Cecelia Shepard case. We have reviewed the case completely and sent all of the evidence we have to the California DNA laboratory in Richmond. We do not expect to have any results back for some time. Routinely, the turnaround time for cases like this is measured in months if not years. Thank you for the access to your site. It has proven valuable for vetting out some of the theories we have received. We hope you will continue to allow us to view your research. Discussion of this development can be found at the Zodiackiller.com message board. July 5, 2011) It's my pleasure to yet again share an exclusive and never-before-seen Zodiac case document. 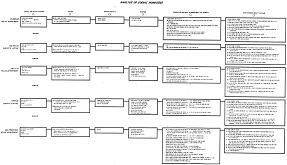 This time, it's a 1971 Zodiac PERT chart, as prepared by the California Department of Justice. Until now, the chart was only available to police. One of the more interesting tidbits contained in the chart is the revelation that Zodiac rode in the front seat of victim Paul Stine's cab, as discussed here. (For decades it was believed he sat in the back.) For discussion of the PERT chart, click here. (PDF | 1.1 MB) For best results, zoom to 150% or more. > A full-length documentary about the unsolved 1963 murders of possible Zodiac victims Robert Domingos and Linda Edwards is now available to watch online for free. The film, which is the work of John B. Averitt Ph.D., a former classmate of the victims, can be found at this link. Jan. 31, 2011) At the end of January 1974, almost exactly 37 years ago, the Zodiac mailed a letter in which he seemed to claim 37 victims. It was the first Zodiac letter in nearly three years and its arrival sparked a renewed attempt by San Francisco police to catch him. To mark the occasion, I have updated the Zodiac Magazine Rack with a story about the investigation from the April 1974 issue of San Francisco Magazine. Dec. 1, 2010) Retired Zodiac detective Ken Narlow has passed away after a strong battle against cancer. Narlow, who was a great friend to this website, worked for the Napa County Sheriff's Dept. for several decades and was the original detective assigned to investigate the Zodiac's attack at Lake Berryessa. He died in Napa on the afternoon of Monday, Nov. 29, 2010. 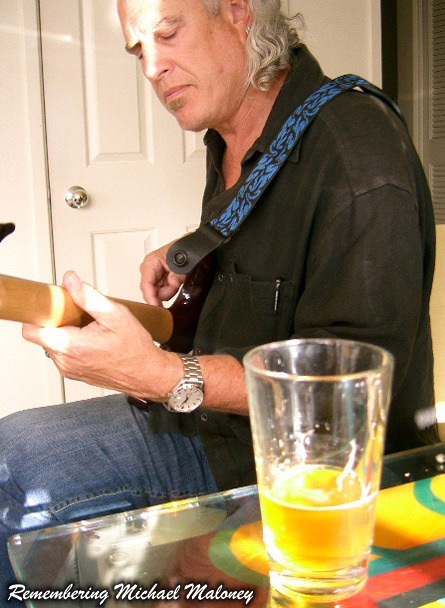 A recent e-mail from Ken: "This cancer is going to get me it's just a matter of time. I rarely get out of the house anymore and when I do Marie takes me where I want to go. I still get a few leads, that I pass on to the boys in blue." Oct. 1, 2010) The 2008 Zodiackiller.com task-force meeting, which was held on Dec. 20, 2008 at the Roxie theater in San Francisco, is now available to watch online for free. Hosted by author David Van Nuys, the 100-minute video features several guest speakers, including Nancy Slover (she spoke to the Zodiac back in 1969). 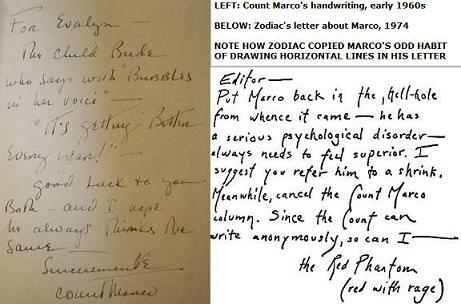 I believe Zodiac was very familiar with the nuances of Marco's handwriting. If so, that potentially narrows the suspect pool immensely. July 29, 2010) It has been nearly 41 years since the Zodiac murdered cab driver Paul Stine in San Francisco. Since then, most of us only know Stine through one published picture. Exclusive to Zodiackiller.com, I am thrilled to bring you a look at Paul Stine the public has never seen: MEET PAUL STINE. Jan. 1, 2010) As we enter 2010, I believe the time is perfect to revisit places the Zodiac haunted more than four decades ago. Click here for a Zodiac flashback. 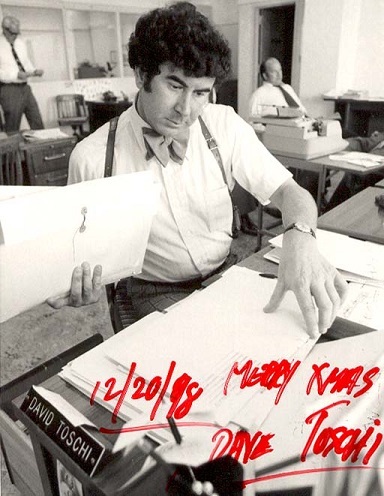 Dec. 20, 2009) 40 years ago today, the Zodiac killer mailed a letter to famed attorney Melvin Belli. For the bizarre events that preceded the mailing, including exclusive photos, click here. "We havent seen any recent solutions or ideas that have generated a second look as of yet. If you can point us in the right direction we'll be all over it. 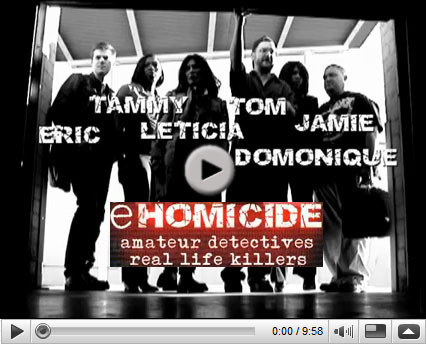 FYI, if we ever do see a good partial or full solution we will forward it with our endorsement to the cold case squad at SFPD, but we will give credit to where credit is due. I dont have a graphic to share but here are more details you can post instead: Statistics for repeated characters for each line of text show a distinct higher randomness with the lines we've discussed (1-3 and 11-13). The higher randomness may be due in part or whole to greater care by the writer to not repeat characters on these lines. This indicates homophonic substitution. The opposite is true for lines 4, 10, 14, 17 and 18, these lines have many repeats. Additionally, there is far greater randomness for rows versus columns. This rules out any form of columnar or diagnal transpositions (a big step forward). These same statistical tests were done on Z408. The results suggest that 340 is similar to 408 except for the bogus rows: overall randomness of 408 is .48, 340 is .50. Row randomness of 408 is .22, 340 is .19. Column randomness of 408 is .48, 340 is .68. By way of comparison, row and column randomness should be near identical if the 340 does not contain any message, or if there is a message that is evenly scrambled. Thanks again for your help Tom." If you have a solution to the 340 cipher you'd like to share, I can pass it along to the FBI. Contact me. Discussion can be found here. Aug. 10, 2009) Before you check out the free, exclusive, two-hour Zodiac video below, keep in mind that even though I do my best, often I don't have time to formally update Zodiackiller.com each time I receive interesting and valuable Zodiac information. Sometimes it can take me weeks or months to get the news to you, or it can just slip through the cracks and never get published. There is now a way for you to get all the good stuff delivered to your e-mail box immediately. Click here to find out how. July 15, 2009) The recent Zodiackiller.com task-force meeting was a blast, and extremely informative to boot. Thanks to all who participated. > I've written a feature article about the events of the last year or so in the Zodiac world. Click here for "The 13th Sign". May 14, 2009) About two weeks ago a woman came forward claiming to be the Zodiac killer's daughter. She was the same woman who recently claimed to be the illegitimate daughter of President John F. Kennedy. Obviously her story is nonsense, as none of the witnesses to the Zodiac's crimes ever described him as traveling in a motorcade. In any event, discussion of these recent events -- along with thousands of other Zodiac-related topics -- can be found at the Zodiackiller.com message board. > The next Zodiackiller.com task-force meeting is less than two months away. See the Jan. 5, 2009 update below for details. Jan. 5, 2009) The Zodiackiller.com task-force meeting at the Roxie Theater in San Francisco might be history, but please enjoy the video at the bottom of this update of the subsequent Zodiac bus tour that 50 of us enjoyed. > The next Zodiackiller.com task-force meeting will be held this July 5th (Sunday) at Blue Rock Springs Park in Vallejo, Calif. That date is the 40th anniversary of the Zodiac's attack of Darlene Ferrin and Mike Mageau. Fittingly, the section of the park reserved for the event is called "The Pines" and was the site of the very first task-force meeting back in 2002, as pictured at left. "The Pines" features 22 picnic tables, two BBQs, plus nearby restrooms, water, and shade. (We will most probably tent a portion in case of heat/rain.) Best of all, it's free. Beer and wine are permitted. Kids are welcome. After the recent hectic task-force meeting, we are looking forward to a mellow affair. Mingling! Discussion! Make your plans to be there. I can't wait! (Starting a new diet tomorrow.) I'd like to thank the Dahlia for her help. > I've put together a page of vintage Zodiac television programs that you can either view online, or save to your computer. Here's a link. Enjoy! Oct. 18, 2008) Welcome, viewers of TruTV's Haunting Evidence: Zodiac Killer! If you watched the show and are curious about the man behined "the voice," or if you just want to read about the most compelling Zodiac suspect to ever come along, click here. > For in-depth discussion of all things Zodiac, including exclusive information not available anywhere else, don't miss the Zodiackiller.com message board. 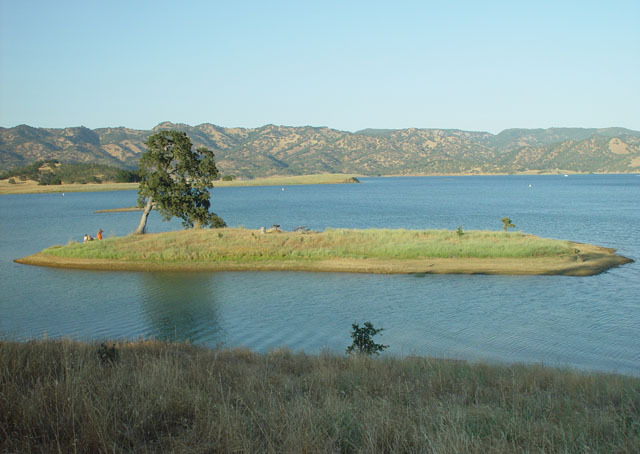 Sept. 27, 2008) Today is the 39th anniversary of the Zodiac's attack at Lake Berryessa in Napa County, Cal. I've updated the page of his victims at the lake, Cecelia Shepard and Bryan Hartnell, with eight new images. Sept. 6, 2008) After more than 30 years of scrutiny, Rick Marshall has finally been dismissed as a Zodiac suspect...and Zodiackiller.com played a huge part. It all started a couple of months ago when I received a phone tip (415 267-4818) from a woman who worked at a care facility in the Sacramento (Cal.) area. She told me that Marshall was a patient where she worked, and that he had spoken about the Zodiac case. She found him to be extremely suspicious and was not sure what to do. Thinking Marshall might finally be ready to talk due to his advanced age and deteriorating health, I contacted my sources at the Napa County Sheriff's Dept., the agency that originally investigated Marshall back in the 1970s. Two detectives made the trek to Sacramento and spent a significant amount of time interviewing Marshall. I have yet to find if DNA testing was involved, but whatever data was gleaned was enough for investigators to finally dismiss Marshall as a viable Zodiac suspect after more than three decades. I'm hopeful to have an official statement in the next few days. A big thanks to those of you who have supported this website and helped make this possible! > Is missing nurse Donna Lass a Zodiac victim? Many think so. Today is the 38th anniversary of her disappearance and here is a big update. Aug. 15, 2008) On Monday I will be departing for the San Francisco Bay Area for seven days of Zodiac research. My focus will be on obtaining information about Zodiac suspect Richard Gaikowski. 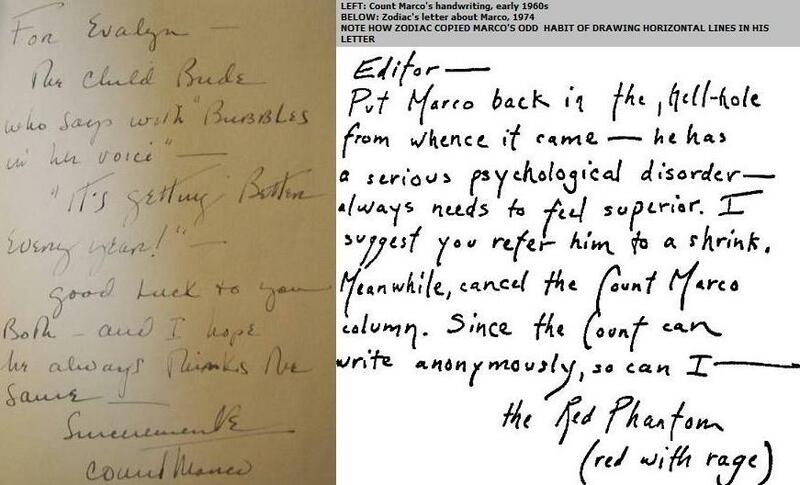 The results of my search, including relevant pictures, documents, handwriting samples, etc., will be posted as quickly as possible and available exclusively to registered users at the Zodiackiller.com message board. April 16, 2008) While research continues into Zodiac suspect Richard Gaikowski (see the March 26, 2008 update below), a new photo has recently surfaced of one of the original top suspects, Rick Marshall. Exclusive to Zodiackiller.com, click here to see how Marshall looked in the 1970s. > Howard "Buzz" Gordon, who dated Zodiac victim Darlene Ferrin in the months before her murder, recently passed away from natural causes. 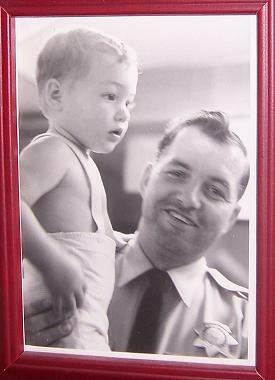 At the time Gordon dated Ferrin, he worked for the Solano County Sheriff's Dept. and was eventually a suspect in her murder. Here's a link to notes from a 1991 interview with Gordon. Jan. 25, 2008) To most Zodiac buffs (as well as newcomers to the Zodiac case who have seen the recent David Fincher film Zodiac), Don Cheney is no stranger. Cheney is, afterall, the man who went to the police back in 1971 because he thought his former friend Arthur Leigh Allen was the Zodiac. In the recently released director's cut of Zodiac, one of the special features on the two-disc DVD is a documentary about Allen. Cheney was interviewed on camera and made several statements about Allen that made Cheney appear suspicious, even to a retired detective also featured in the documentary. Was Cheney lying all along about Allen? Or, could Cheney have actually helped Allen commit the Zodiac crimes? Click here for a look at a suspicious letter Cheney sent me several years ago. To order the two-disc director's cut of Zodiac featuring the Allen documentary, click the image directly below this update. Dec. 12, 2007) My library of Zodiac-related video has grown quite large over the years, and some is extremely rare. One such rarity is a campy (but very good) production from around 1979 called Zodiac: Sign Of Death. At just under 10 minutes in length, Zodiac: Sign Of Death is packed with excellent footage and a funky 70s soundtrack. My favorite part is the voice of Zodiac; it's the same actor who was the voice of the computer "HAL" in the classic film 2001: A Space Odyssey. Click the numbered links below to listen to select MP3 clips of Zodiac: Sign Of Death. Dec. 1, 2007) A newspaper based in the United Kingdom recently published a story claiming mega-celeb Britney Spears is a regular user of this website. Could it be true? I'll never tell. (I make it a habit not to reveal the identities of site users who prefer to remain anonymous.) Click here to read the story. 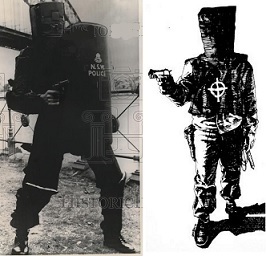 Nov. 4, 2007) In a little more than a year it will be the 40th anniversary of Zodiac's first-known attack. 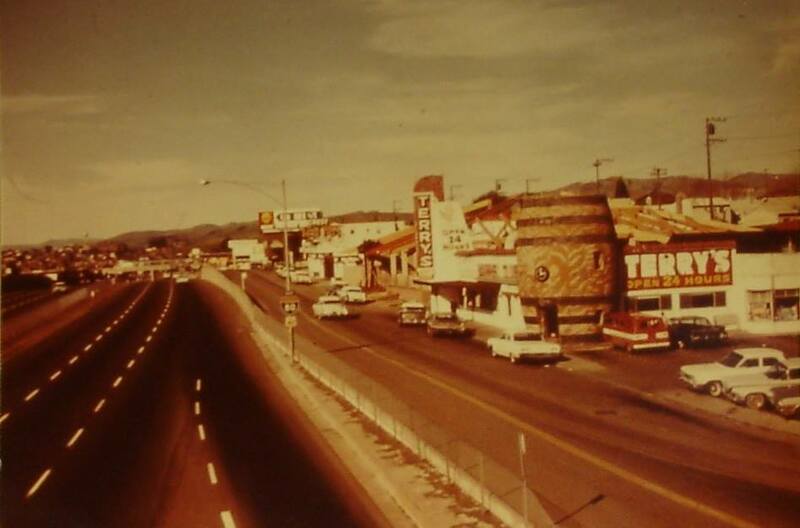 Since then, much has changed in the locations where Zodiac was active. Click the images below for a high-resolution view of life (circa 1960s) in Vallejo, Lake Berryessa and San Francisco, Cal. 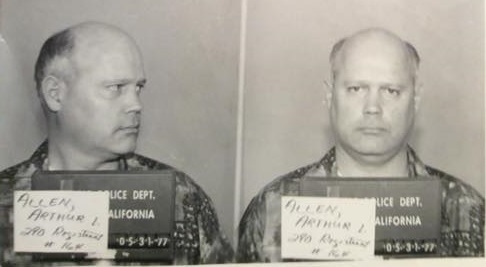 Sept. 26, 2007) It took hours of work, but 30 high-resolution images are finally available to view of top Zodiac suspect Arthur Leigh Allen's 1966-1968 personnel file. Several years ago I obtained the file from the Calaveras County (Calif.) Unified School District where Allen had worked as an elementary teacher. 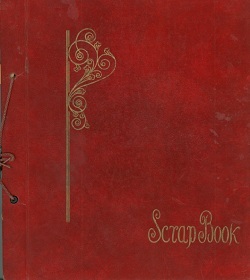 Within the file are many handwriting samples, including his two-page job application. If Allen was the Zodiac, the file might contain important clues. Sept. 12, 2007) Recently I learned that Zodiac victim Paul Stine was allegedly hired as a reporter by the San Francisco Chronicle shortly before his murder. If that information is true, Stine -- who worked as a reporter for his high school newspaper and was an English major at San Francisco State -- was just days away from beginning his new job at the very newspaper Zodiac chose to write a vast majority of his letters. The potential implications are staggering. However, it's extremely important that I verify this information as best I can. If Stine was indeed telling others that he was a reporter for the San Francisco newspaper (even if he was simply exaggerating), it stands to reason that Zodiac may actually have known him and perhaps even targeted him for that specific reason. If you knew Paul Stine or anyone in his family, circle of friends, classmates, fellow employees, etc, please click here to contact me. You may remain anonymous. July 21, 2007) In just a few days, David Fincher's Zodiac will be available to rent and buy on DVD. While not exactly a factual portrayal of the Zodiac case, the film is packed with excellent performances. One of the best was turned in by Robert Downey Jr. in his portrayal of real-life reporter Paul Avery. (Avery was highly instrumental in the evolution of Zodiackiller.com.) In Zodiac, Downey Jr.'s character displays mostly annoyance toward the case. However, the real Paul Avery was very much involved in the Zodiac investigation. Here's a case report Avery prepared for the police back in 1971. April 2, 2007) In the last few weeks, an incredible amount of tantalizing information has been collected about the person of interest ("Sam") this website developed in connection to the recently-discovered Eureka card. Several weeks ago I e-mailed a certain police department and asked if it would be interested in seeing the information compiled about "Sam." I have yet to receive a response. Quite unfortunate. In my opinion, "Sam" has surpassed Arthur Leigh Allen in terms of interesting Zodiac-related coincidences/circumstances. It's now plainly obvious to me that before I again attempt to approach a law-enforcement agency about "Sam," I will need to have all of the bases covered so that "Sam" can't simply be ignored. Most likely a trip back to California will be necessary in order to accomplish all of the needed intimate background research and collecting of handwriting samples, as well as for me to approach "Sam" in person (along with a retired homicide detective). > As expected, March 2007 was the busiest month in the history of Zodiackiller.com, as the March 2 release of David Fincher's film Zodiac helped boost my hits to a total of almost 30 million. Therefore, I almost feel guilty that Zodiac was such a total bomb at the box office. Of course, had the film spent more time on the Zodiac's victims, as well as the other aspects of the case that people actually find interesting, I have a feeling things would have turned out much differently for the film. March 13, 2007) This morning at 9 o'clock (Pacific Time) I'll be a guest on Eureka (Cal.) Radio Station KSLG-FM to discuss the possible 1990 Zodiac correspondence (see the Feb. 25, 2007 update below). UPDATE: Click here for an MP3 file of the show (approx. 30 min. | 28 MB). For much more on the Eureka card, including high-resolution scans, visit the all-new Zodiackiller.com message board. > The 2007 Zodiackiller.com Task-Force Meeting was a huge success, as everyone who attended seemed to have a great time. David Van Nuys did an excellent job of hosting the event. Guest speakers Howard Davis, Nancy Slover and Bill Baker were terriffic. And of course, John Mikulenka's Hunting The Zodiac documentary definitely lived up to the high expectations. > Thanks primarily to the heavy marketing campaign for the David Fincher movie Zodiac, so far this month Zodiackiller.com has already received more than 16 million hits! If you'd like to inquire about advertising opportunities, please contact me. Feb. 25, 2007) In the last week, the San Francisco Chronicle discovered an envelope in its library of Zodiac materials. Inside the envelope was a greeting card. Apparently its importance had never been recognized, or it was thought to be a hoax. 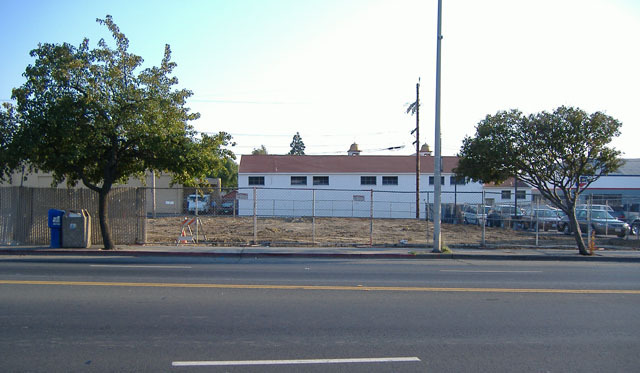 The Chronicle is busy preparing a huge story about this amazing and important development. The date of the postmark left me in a state of shock. > There's an all-new Zodiackiller.com message board. Click here to check it out. Feb. 14, 2007) A huge update this time, so make sure you scroll down for everything. First and foremost, I'm deeply saddened to report the passing of retired San Francisco Police Dept. Inspector Michael Maloney, who died of a sudden heart problem this past weekend. Maloney was a great guy and a big friend of this website. Just last week he e-mailed me and was very excited about attending the upcoming 2007 Zodiackiller.com Task-Force Meeting (see below). In the few years preceding his 2004 retirement, Maloney had a big involvement in the Zodiac investigation (along with his partner, Inspector Kelly Carroll). Together they gave renewed attention to the Zodiac case and were involved in the important accomplishment of securing the Zodiac's DNA profile, which may one day prove the key to solving the case. In late 2005, Maloney contributed this special report to Zodiackiller.com. > The 2007 Zodiackiller.com Task-Force Meeting is scheduled for Saturday, March 3 at the 4 Star theater in San Francisco. The meeting is open to the public and will run from noon until 3 p.m., featuring the debut of John Mikulenka's documentary film, Hunting The Zodiac. Special guests at the meeting will include Nancy Slover (the police switchboard operator who spoke to the Zodiac back in 1969), as well as David Van Nuys, the emeritus professor of psychology at Sonoma State University and co-author of This is the Zodiac Speaking. > I'm happy to announce that my predictions of another delay were wrong. David Fincher's Zodiac will definitely be in theaters on Friday, March 2. And early reviews have been excellent. I'll be there for opening night. > A new feature has been added to Zodiackiller.com! It's called SHOUTcast and it's my audio blog of all things Zodiac. So far I've only done one, but more are on the way. Hope you enjoy it. > I haven't yet seen any ads for it, but apparently FOX's America's Most Wanted will be devoting an hour to the Zodiac case on Saturday, Feb. 24, beginning at 9 p.m. (ET/PT). Reading his recipes, it's interesting to note the intentional misspellings Allen frequently used, similar to what the Zodiac did. Of particular interest to me was Allen's habit of frequently spelling "water" as watter (see the Dec. 1, 2006 update below for significance). 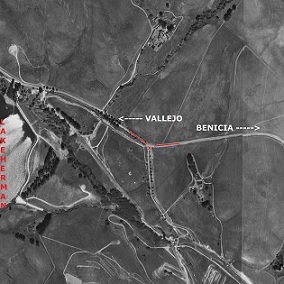 > Today is the 38th anniversary of the Zodiac's double murder at Lake Herman Road in Vallejo, Cal. For those of you who missed it, click here for my special 2003 update. 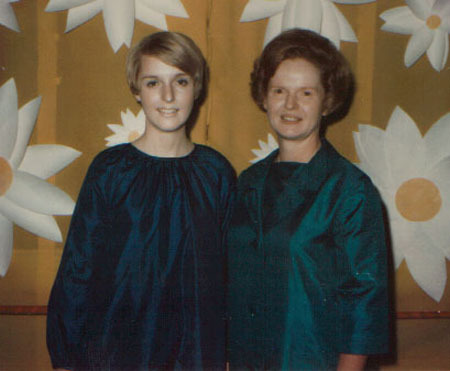 Oct. 31, 2006) Today is the 40th anniversary of the murder of Cheri Jo Bates. Oct. 11, 2006) Add the "Zodiac Shack" to the list of Zodiac-related places to change drastically in recent times. 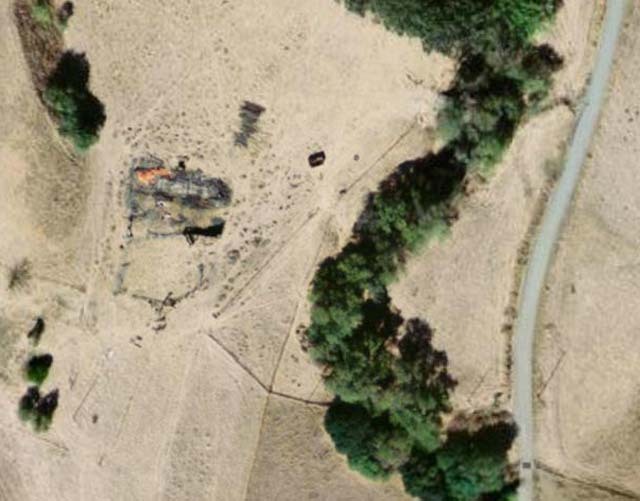 As seen in this overhead picture, the shack has been destroyed by fire. Even the barn is gone. Sept. 27, 2006) On this date in 1969, the Zodiac murdered Cecelia Shepard and wounded Bryan Hartnell at Lake Berryessa in Napa County, Calif. For almost 38 years, the crime scene changed little. However, the last remaining tree recently toppled. Additionally, all picnic tables and barbecue grills have been removed. The scene is now barren. 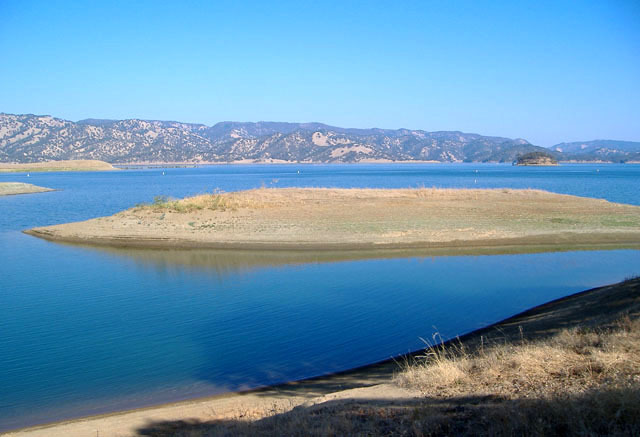 > The Lake Berryessa crime scene wasn't the only major Zodiac-related site to recently face drastic changes. 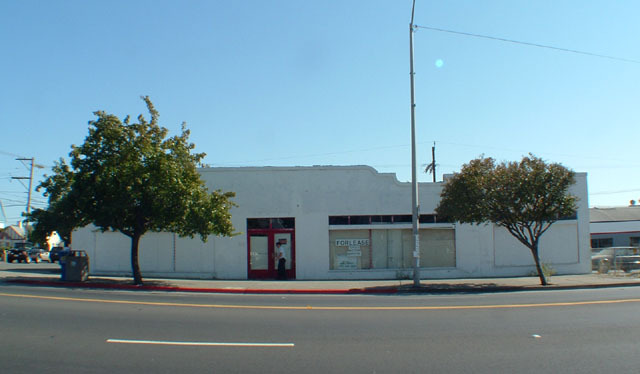 The Vallejo (Calif.) Ace Hardware store, long-time workplace of Zodiac suspect Arthur Leigh Allen, was torn down just a few days ago. 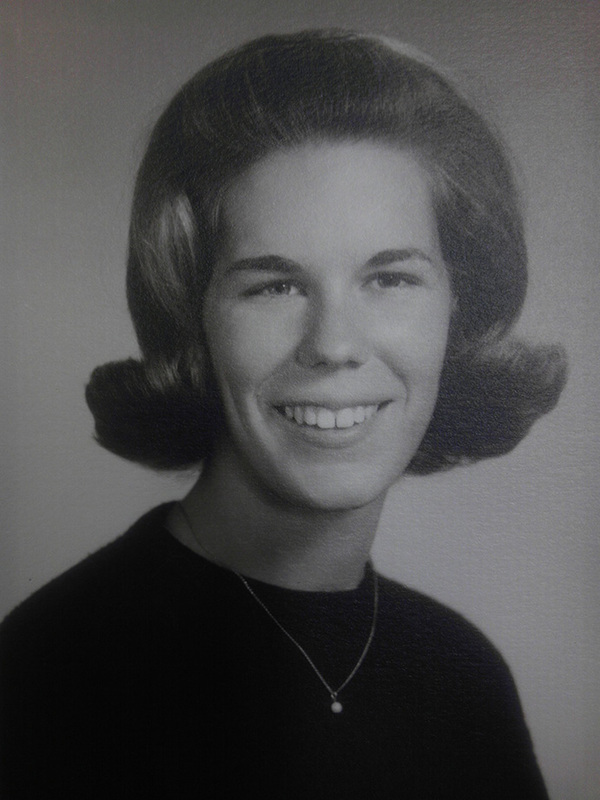 July 4, 2006) On this 37th anniversary of Zodiac's murder of Darlene Ferrin in Vallejo, Calif., here's an audio message from Darlene's sister, Pam Huckaby. June 12, 2006) After years of searching, I've finally found and interviewed Nancy Slover, the former Vallejo Police Dept. switchboard operator who spoke with the Zodiac early in the morning of July 5, 1969. Believe it or not, our 90-minute conversation was the first time Nancy had been interviewed about the Zodiac case in more than 36 years. It was quite an interesting discussion, to say the least. I'm thrilled she is now willing to go on record for the first time about her roll in the Zodiac mystery. Questions and media inquiries for Nancy can be submitted to nancy@zodiackiller.com. > Last week's Zodiac chat with author Mike Kelleher went great, as Mike spent a little more than two hours answering questions from the 60 or so total participants. Hopefully we can schedule another chat in the near future. June 1, 2006) Mike Kelleher, author of This Is The Zodiac Speaking, will be a special guest in the Zodiackiller.com chat room on Wednesday, June 7 @ 7 p.m. (Pacific Time). For those of you who can't make it into the room, feel free to send me your questions/comments for Mike and I'll do my best to pass them along. In 1999, I had the good fortune to speak with Wilma at length. She provided me with many vintage newspaper stories about Cecelia's murder, as well as other helpful research materials. Wilma outlived her daughter by more than 35 years and never learned the identity of her killer. I know she wouldn't want us to stop searching now.